Former Harvard professor --- Douglas Winslow Cooper, Ph.D. --- will help you write and publish your book quickly, easily, and inexpensively. Free initial consultation by phone, email, or in person. Money-back guarantee: first month fee returned if not completely satisfied. Includes a weekly coaching session and content editing (no commitment, cancel at any time), along with unlimited phone and email communication. Formerly, contributor to Asiance and Sixty and Me and still to my own Blog. I work from home, where since 2004 I have helped manage round-the-clock nursing care for my beloved, quadriplegic wife, Tina Su Cooper. There’s only one of you, and once you are gone, you are gone. Before you go, why not write that book you’ve wanted to write? Some eighty percent of adults hope to write a book, but only 1% end up doing so. You could be in this elite group, a 1%er, not in wealth or income, but in achievement. Say thanks. I wrote and published Ting and I: A Memoir of Love, Courage, and Devotion partly as a gift to my wife and friends and family and the nurses who have cared for my special spouse, Tina Su Cooper, and partly to tell others of the power of love, the importance of marriage, and the value of life, even severely handicapped life. It was a “message” book, favorably reviewed and the object of several fine articles in local publications. · Make a claim. Marie Elizabeth Foglia and I co-authored her memoir, Ava Gardner’s Daughter? An Investigation into Two Women’s Pasts, to state Marie’s claim to be that movie star’s only, and unacknowledged, child. Despite her vivid memories and some circumstantial evidence supporting her belief, the DNA test that the book succeeded in getting Gardner’s relatives to perform did not support her recollection. · Tell them what you've done, what you can do. 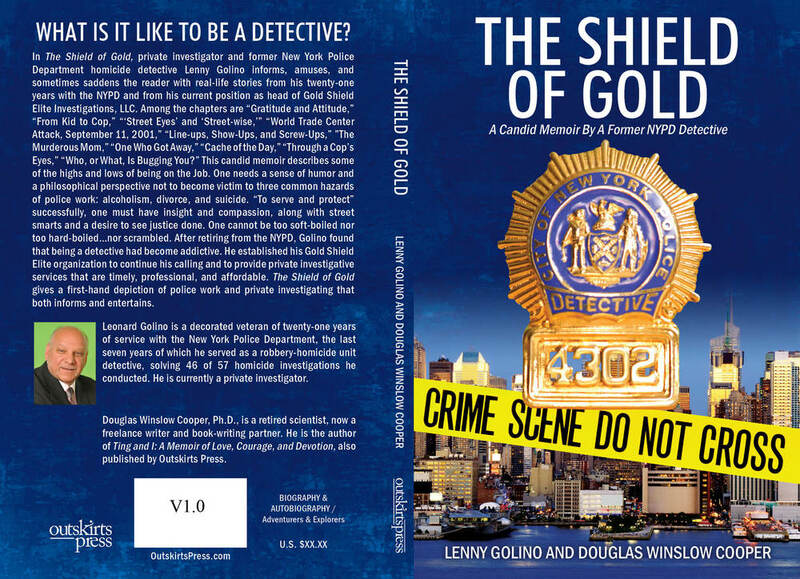 Lenny Golino and I co-authored his The Shield of Gold: A Candid Memoir by a Former NYPD Detective, which memorialized his service, entertained its readers, and served as an impressive “thick business card” for his company, Gold Shield Elite Investigations, LLC. · Don't let lives be forgotten. With my coaching and editing, retired Registered Nurse Alice Conner Selfridge wrote her memoir, High Shoes and Bloomers: Remnants from the Attic in My Mind primarily to preserve the memories of the happy childhood of this child of the 1930s, youngest of eleven children, growing up in a small rural community in Massachusetts. Not only did it please friends and family and Alice herself, it was very favorably reviewed at amazon.com. I coached, wrote the Foreword, and edited. · State your case. What kind of woman joins the Tea Party? 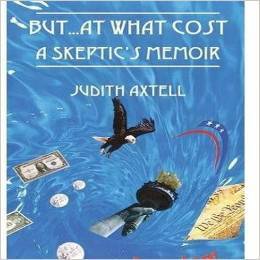 Judith Axtell, seventy-something, wrote a memoir with a political emphasis, But…at What Cost: A Skeptic’s Memoir, to describe, explain, and defend her transition from youthful 1960s liberal to mature committed conservative. I coached, wrote the Foreword, and edited. · Sometimes writing your book is therapeutic. Mary E. Seaman and I co-authored her memoir, Kidnapped Twice: Then Betrayed and Abused, the story of her partial recovery from a traumatic childhood, a recovery she felt has been aided by the writing of her book. Cheryl Barrett wrote Good Grief partly for others and partly for herself, to get over the death of her husband after their 40+ years of marriage. · Promote your business. Solved! Curing Your Medical Insurance Problems by Adria Goldman Gross and myself has served as a “thick business card” for Adria, and it has gotten her widespread recognition for herself and her business. Adria serves as a paid advocate for those who have been over-charged by doctors and hospitals or under-compensated by their insurance companies. Consumer advocate Ralph Nader contributed his praise for the book, printed as a “blurb” on its cover, to help convince others to buy it and heed it. 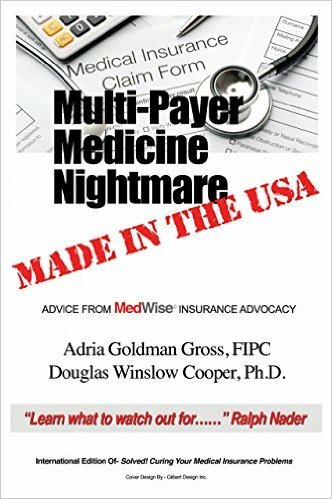 Mr. Nader used its International Edition, entitled Multi-Payer Medicine Nightmare---Made in the USA, to influence the fall 2016 election in Canada, where government health care policies were key issues. One of the reasons Dawn Crystal wrote her PAIN FREE Made Crystal Clear was to let the world know about the results she has achieved using her voice to bring about drug-free relief of pain. · Give a present primarily for friends and family, but a delightful read for others, Home Is Where the Story Begins: Memoir of a Happy Childhood, by Kathleen Blake Shields, tells of a poor family in a small town in New York that provided its three daughters with wise and loving nurture as they grew up in the 1960s. The stories are heartwarming, and I am proud to have coached, written the Foreword, and edited. · Attract potential clients. 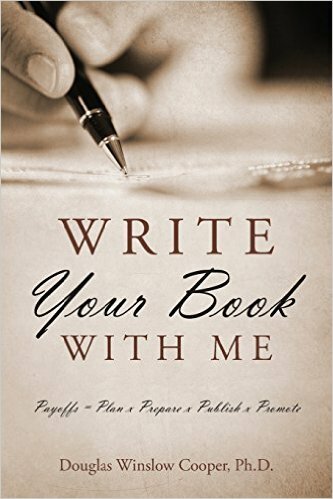 My Write Your Book with Me has just been published. I wrote it to encourage others to write their books, with my help, then publish and promote them. The reception to it, including from other writers, has been very positive. Those whom I coach will receive the printed version, and those who respond to this web page by providing their e-mail addresses will receive an electronic copy. Petero Wamala has recently retired and tells others how he plans to handle it, and how they can, too, in our Retirement? No. Refirement! He will probably become a retirement counselor in his native Uganda. · Help others learn from your experience. Several more books are in the works: The Flesh, written by a reformed strip-tease artist, is designed to discourage other women from going into this life. How to Manage Nursing Care at Home, written by myself and Diane Beggin, RN, will help others handle this difficult and increasingly common situation. 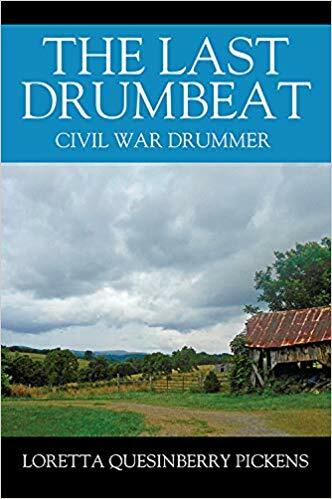 The Last Drumbeat, a Civil War novel written by Loretta Q. Pickens, tells the story of a mother’s search for her Confederate Army sons and, in parallel, the saga of her young son’s participation as a drummer in the Army of Northern Virginia, using material drawn from Ms. Pickens’s family archives. What Ever Happened to My White Picket Fence? is Janet Johnson Schliff’s memoir of recovery from a brain tumor that was the size of an orange when it was finally discovered and removed; she has become an expert/advocate for those with brain injuries and has testified before New York State officials. As you can see, the motives for writing were varied and individual, here ranging from therapeutic to commercial to philosophical to political to familial to self-actualization. Although your book will open up opportunities for you, it is not likely to become a best-seller, so you have to find its worth independent of royalty checks. Becoming an author is achieving a challenging goal, like running a marathon, completing a cross-country trek, building something impressive. You will be pleased and those who know you will be, too. Q: What if you don’t have the time? A: You will make the time: you and I will meet weekly in person or by telephone for an hour, and you will do a few hours of work on your book between meetings. In another context, when you want to achieve a fitness goal and you hire a personal trainer, you get to the gym on schedule! Think of me as your personal writing/publishing trainer, without push-ups, sit-ups, and pull-ups. Q: What if your grammar and spelling are imperfect? A: You will have my professional help: as your co-author or editor, I will write some and edit some. I have published over 100 technical articles and ten books, and my Graduate Record Exam score in English was…well, very impressive. I’ll be your safety net. A: You should be able to afford it: my charge is $50/week, or $200/month, and we typically need about 40-50 weeks, thus about $2000-$2500. The publisher we usually use will require $500-1000 for setting up the paperback book [about $200 for the ebook] and typically charge you $5-10 for each book you want printed. You can print as few as 6 or as many as you wish. The cost is approximately one-tenth what you would pay to have a book ghost-written by another author, and you would always know you had not quite deserved the credit you received for “writing” a ghost-written book. You will receive any royalties that come from selling the book, as well as any money you derive from anything related to the book. Q: How will your book be sold? A: The book will be sold on-line through the publisher and through booksellers like amazon.com and bn.com [Barnes & Noble]. It can be sold as an electronic book [ebook] through similar channels. You can also buy copies at a reduced price and sell them yourself. In some cases, local bookstores will arrange for you to sell them there as part of special charitable events. Q. Don’t you need an agent to get published? A: That once was pretty much the case. No longer true. We work with a subsidy publisher [Outskirts Press] that will not reject books submitted by me. With them, I have published ten books so far. Q: What about your rights to the book and anything that comes from the book? A: The publisher we use and I will assure that you retain ALL rights. Use the contact form on this page to send me a message about your proposed book, and I will respond immediately, sending you an electronic version of Write Your Book with Me and arranging a time for us to chat. Our first one-on-one session is free, and it will clarify the goals, methods, and potential outcomes of your book project. If we agree we have a good fit, we will start immediately, unless I have too many writing clients, in which case you will be on a waiting list. If we decide to go ahead, I will also give you a paperback edition of Write Your Book with Me or one of the other books mentioned here. 7. Help you promote your book and use it to expand your opportunities. Douglas Winslow Cooper is a writer and retired environmental physicist, now helping to manage at-home nursing care of his wife, while pursuing a writing and coaching career part-time. Cooper earned his A.B., with honors, in physics at Cornell, then served at the U.S. Army biological warfare laboratories at Ft. Detrick, MD. Subsequently, he returned to school, obtaining his M.S. degree in physics at Penn State and his Ph.D. in engineering from Harvard. His professional life centered on environmental issues. He was the author or co-author of more than 100 technical articles published in refereed journals and was elected Fellow of the Institute of Environmental Sciences. He recently wrote Ting and I: A Memoir of Love, Courage, and Devotion, available at amazon.com. Dr. Cooper does freelance writing, book coaching, partnering and editing. 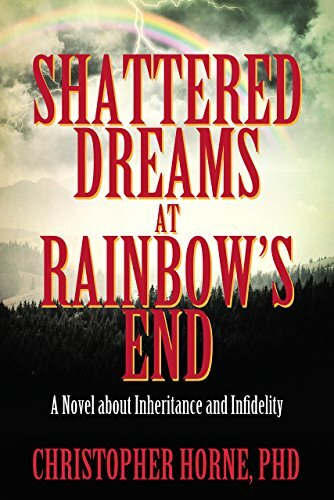 He co-authored a detective’s memoir, The Shield of Gold, and a memoir of a woman recovering from abuse, Kidnapped Twice, and edited the memoirs High Shoes and Bloomers and But…at What Cost? and Home Is Where the Story Begins: Memoir of a Happy Childhood. He just finished coaching and editing Janet Johnson Schliff, M.S.Ed. in publishing her What Ever Happened to My White Picket Fence? Ph.D., Engineering, Harvard University, 1974. M.S., Physics, The Pennsylvania State University, 1969. A.B., Physics, Cornell University, 1964. Physicist, GCA / Technology Division, Bedford, MA. Conducted air pollution research, 1973-76. Assistant Professor and then Associate Professor of Environmental Physics, Harvard School of Public Health, Boston, MA. Taught environmental management and aerosol science and assisted in teaching introductory biostatistics and a health policy course. Performed research related to air pollution, industrial hygiene, and nuclear reactor health effects modeling. Became Director, Environmental Health Management Program, 1976-83. Research Staff Member, IBM T.J. Watson Research Center, Yorktown Heights, NY. Carried out research and did internal consulting and training on topics related to contamination control, measurement, and analysis, often involving statistical analysis and mathematical modeling, 1983-93. Director, Contamination Control, The Texwipe Company, Upper Saddle River, NJ. Performed research and wrote technical articles on contamination control to improve its products and support the company’s technical reputation. Managed contamination-related quality control, 1993-2000. Then, retired.